When you are hurting or in crisis you need to talk to someone. There are many organizations that have people that want to talk to you and help you. If someone is hurting you, touching you inappropriately, bullying you or cyber bullying you, then you need to talk to someone immediately. Talk to your parents, a school counselor, teacher or other trusted adults. You can also approach others such as police officers, firefighters, principals, and librarians. If you are experiencing a medical emergency, are in danger, or feel like hurting yourself or others, call 911 immediately. Metropolitan Kansas City has many people that want to listen to you. Synergy Services offers a 24 Hour Youth Crisis Hotline to talk about any need you may have. Just dial 816-321-7050 or 1-800-491-1114 for help anytime day or night or visit synergyservices.org. Talking is one of the most powerful tools you have in the fight against drug and alcohol use. But when tackling some of life’s tougher topics, especially those about drugs and alcohol, just figuring out what to say can be a challenge. Your goal is to talk to a parent, guardian or trusted adult and talk often. Ask questions about drugs and alcohol so you can get the facts. Show them all the resources located at the bottom of the page and ask them to review these resources with you. I’m playing at a friend’s house and there is alcohol out, he isn’t drinking but his parents are. A kid had a bag full of pills at school and he was passing them around to his friends. My friend asked me if I wanted to drink some alcohol from her parent’s refrigerator. I was walking home from school and an older boy asked me if I wanted to smoke with him. A friend tells me that his uncles give him alcohol every weekend – just one drink. If someone is bullying you or cyber bullying you, then you need to talk to someone immediately. Talk to your parents, a school counselor, teacher or other trusted adults. Many teens may have questions about birth control or pregnancy. These are very serious conversations and should be held with a parent or guardian. You may also want to discuss these types of questions with your school nurse or school counselor. Need to find counseling? A health clinic? A food pantry? 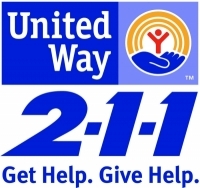 United Way’s 2-1-1 hotline is a great resource for everyday needs that aren’t quite 9-1-1 emergencies. United Way 2-1-1 spans a 23-county area, including 7 counties in Kansas and 16 in Missouri, and has access to thousands of resources. The comprehensive database is constantly being updated so you’ll have accurate information. Call 2-1-1 and you’ll reach a trained, caring professional 7 days a week, 24 hours a day, 365 days a year. It’s free and confidential.